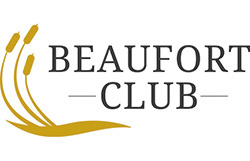 From our Championship Golf Course and Clubhouse to The Pavilion with a planned resort-style pool, playground, volleyball court and gathering spaces, Beaufort Club offers resort living at its finest. Couple that with nearby boutique shops and restaurants on the historic Beaufort waterfront and pristine beaches dotting the Crystal Coast and the good life awaits. We are located at 300 Links Drive, Beaufort, NC 28516 and can be reach at (844) 639-9068.